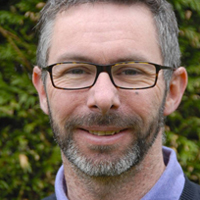 Dr Andrew Reeves is a Senior BACP Counsellor/Psychotherapist with over 30 years’ experience of working in a range of settings as a social worker and therapist. He has experience of working in child protection, with children and families, adult mental health, schools and higher education. He additionally works as a Senior Lecturer at the University of Chester on the professional doctorate programme and is a successful freelance trainer. He has written extensively, publishing several books and many articles, primarily around working with risk in counselling and psychotherapy, his specialist research area. He was Editor-in-Chief of Counselling and Psychotherapy Research journal for nearly six years, and has been Chair of the British Association for Counselling and Psychotherapy since 2014.